In the intense world of online gaming where every distraction must be banished to concentrate on the task at hand, Voice over Internet Protocol has a role to play. VoIP is used so that participants in multi-player games can talk to each other without having to switch between instant message boxes and waste time typing. This is a popular new trend, according to VoIP gaming and social network provider Vivox, which has reported a massive rise in VoIP gaming. The Vivox Chief Executive Officer Rob Seaver said: "Our integrated voice platform is integral to maintaining the vibrancy and enthusiasm of our online communities. "Vivox has not only played a key role in creating unique, interactive environments for our users but it's also provided us with additional opportunities for business and revenue growth." 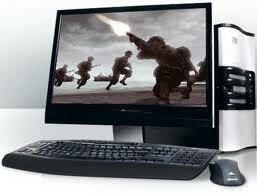 More than 45 million people are now using the company's High Definition VoIP services for gaming. That is up from only 18.5 million users at the beginning of last year. That is good news for revenue as Vivox makes money through virtual goods and audio advertsising. Some of the companies which make use of Vivox's VoIP gaming offerings are Runewaker Entertainment, Bigpoint.com and Wargaming.net. 0 Response to "Vivox Reports 45M VoIP Gamers"